The new school year is now underway and it’s time to start thinking about what is in your child’s lunch. A fruit cup with a disposable plastic spoon? Plastic zip-top bags for sandwiches and veggies? Individually-wrapped dessert? A bag of potato chips? A juice box? All of these items have one thing in common: waste. In fact, the average American student generates 30.4 kilograms (67 pounds) of lunch-associated garbage each school year. Using some basic multiplication to factor in other kids at the school, state, and country levels, it’s easy to see that food packaging is a big problem. Even beyond kids eating lunch, much of our food is encased in landfill-clogging plastic. Sweden-based designers Hannah Billqvist and Anna Glansén of Tomorrow Machine are trying to reverse that trend. 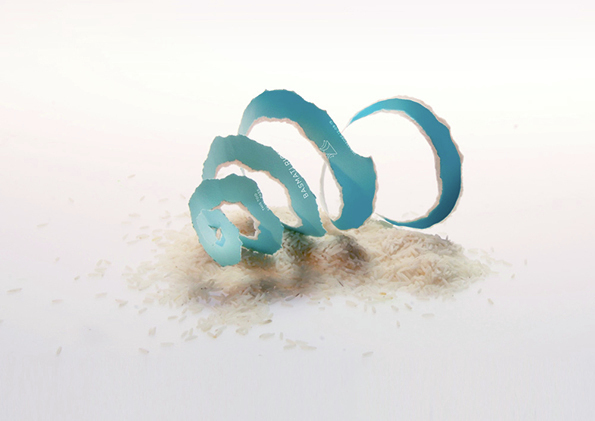 They launched a project in 2012 entitled This Too Shall Pass that features biodegradable food packaging, some of which doubles as a vessel to cook and serve the food as well. 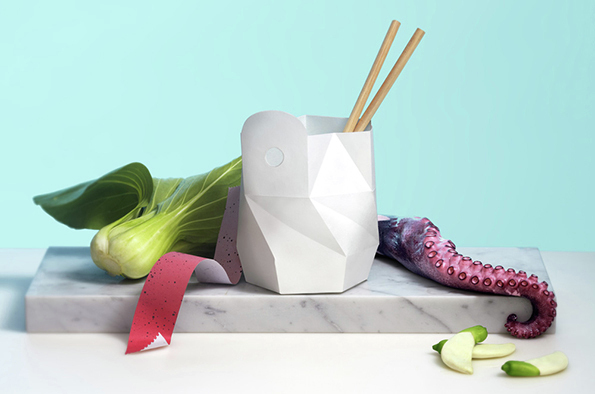 Food is cooked directly within the self-opening package and—as the name suggests—opens when the food is cooked to a certain temperature. The packaging can easily be composted after use. 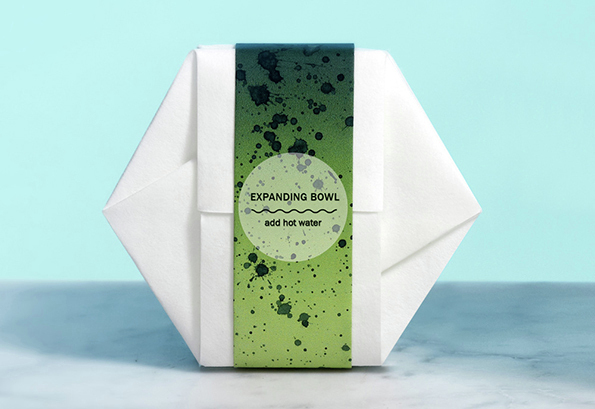 The Sustainable Expanding Bowl consists of a cellulose vessel containing freeze-dried food. Adding boiling water not only cooks the food inside, but also causes the packaging to expand and open into a bowl. Tomorrow Machine is also in the early stages of developing new packaging that isn’t used as a serving dish, but is made out of natural materials that are easily compostable or can dissolve in water. The juice box is made from a mixture of agar (an algae-derived, gelatin-like substance) and water. As the drink is depleted from inside, the box begins to shrink. The box almost disappears completely after only one month. 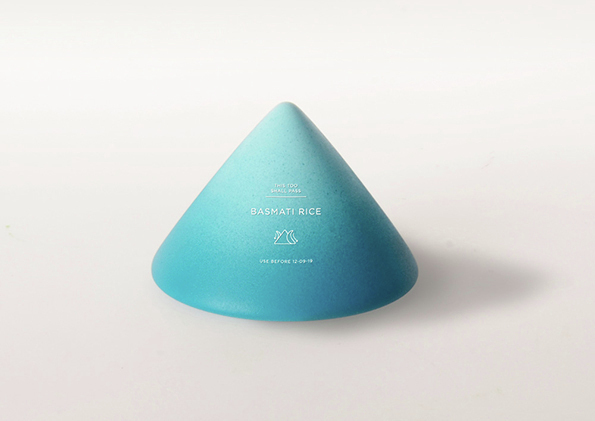 Packaging for dry foods like rice or pasta has been created from treated beeswax. The wax is paper thin and can be torn off just like an orange peel. 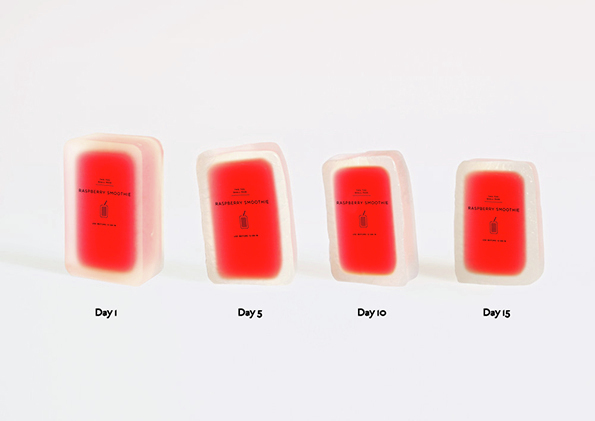 Tomorrow Machine has even developed an environmentally-friendly container for oils. 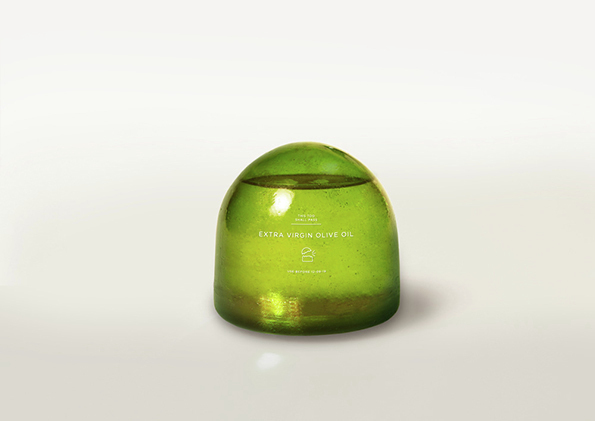 The caramelized sugar container has a beeswax coating that can be opened by cracking it like an egg. It takes only minutes for the sugar to dissolve in liquid, which means disposal could be as easy as dumping it down the drain. However, many people might not be too fond of having to dig shards out of their oil to prevent changing its taste or nutritional content. At this point, the design is still a prototype and could change later. Keep up with Tomorrow Machine’s progress via their website or Facebook.